Rain Check Policy: In the event five innings of a game are not played, except when the home team is in the lead at the end of 4.5 innings, the ticket may be exchanged for a 2018 regular season home game at equal or lesser value based on availability with the exception of hospitality areas. Great value: From 20% to 39% off per game. regular season game, based on availability. Guaranteed the same seats all season. First opportunity to purchase your seats for playoffs. The Sports Deck sells out most games, so this guarantees you a ticket. The season ticket guarantees a ticket for 30 games (Rox play a total of 36 home games). A $90 savings compared to just getting your tickets game-by-game. Includes all the food and beverage and $1 beer through the seventh inning. Ticket exchange program. You can exchange tickets in advance to games that don’t work in your schedule to another regular season game, based on availability. First opportunity to purchase your seats for playoff games. 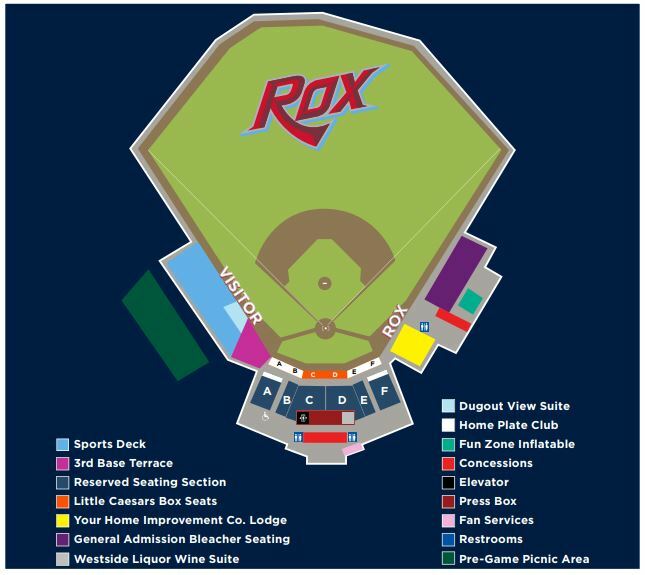 Free Rox road games. Receive a voucher for free admission to all road games. Get 10% off Rox merchandise during Rox games. Free All-You-Can-Eat Ballpark Food and Drink. We know food is a large cost in taking your family out. So we decided to include it for FREE in this package. Each game you receive an all-inclusive ballpark buffet: hot dogs, hamburgers, a special rotating entrée, chips, popcorn, soda and water. Food is served for two hours, starting when the gates open which is one hour before game time. Flexibility. This package includes a Ticket Exchange Program. This perk is a fan favorite. We know your schedule in the summer can be hectic, which is why our No Ticket Goes Wasted Policy is so beneficial. Can’t make a game in your package? No problem! 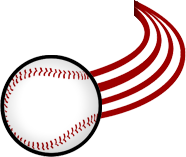 All you have to do is give our front office a call before your game day and swap it out for a different available game, absolutely FREE. Our Best Games. What makes these nights the best? These are the games that include firework shows and entertainment acts. Last year, these nights sold out! By purchasing the package in advance, you are guaranteed tickets to these nights. Free Gift. Special edition Rox t-shirt for FREE. 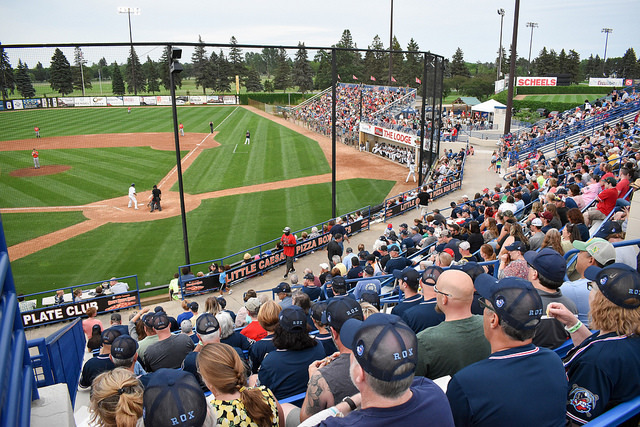 Best Seats: 7-Game Pack Holders receive reserved seats in the main grandstand. Seating is chosen based on a first come, first served basis. Exclusive Concessions Line. 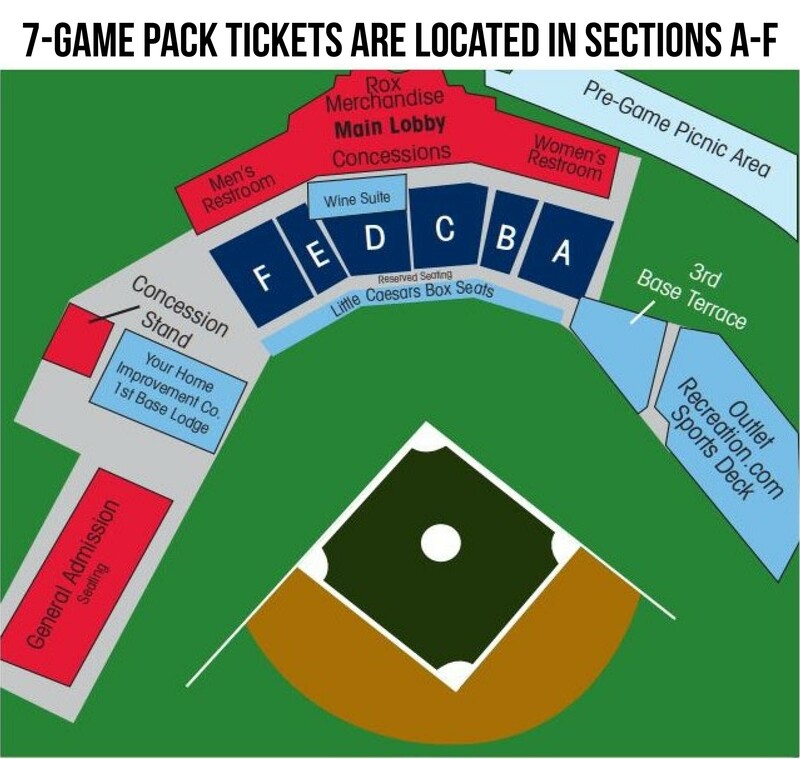 On the 7-Game Pack, nights there will be a buffet line designated for 7-Game Pack holders to skip the food lines from the general fan. Highly Affordable. The best part to all of this is the price! All of the perks of this package will only cost you $15 per game ($105 total). Need flexible payment terms? No problem! All the Rox need to reserve your package is 50% down. Merchandise Savings. 7-Game Pack Holders receive 10% off all Rox merchandise sold at every game. Limited Availability. The only problem with this package is availability. Last season, the Rox SOLD OUT of 7-Game Packs. To learn more about single game tickets, click here. With 15 or more general admission or reserved section tickets purchased, you’ll receive a special edition Rox baseball hat with each ticket! 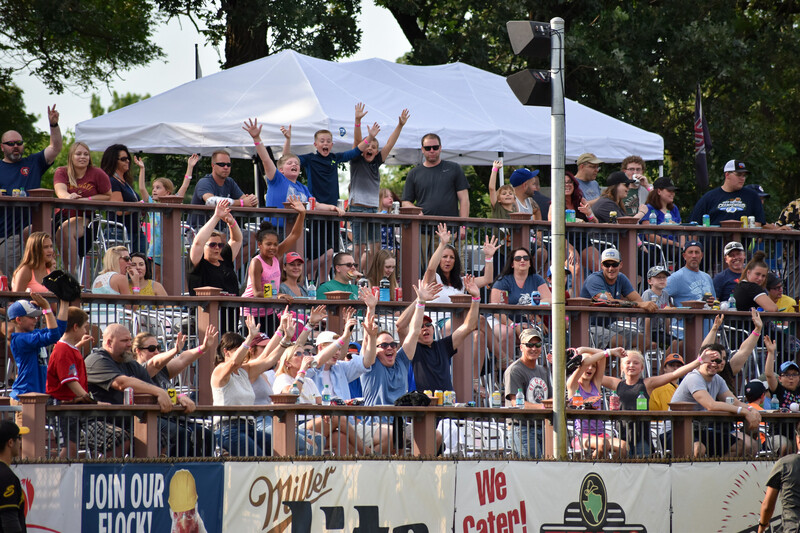 For more information, contact the Rox at 320-240-9798 or info@stcloudrox.com. Copyright © 2019 St. Cloud Rox. All Rights Reserved.